Stay dry and cool with its Climalite technology and its breathable and ventilated material. The Adidas Essex ¾ Tee women squash t-shirt is available on white and blue. It will surprise you by its lightness and its material, very pleasant to wear. 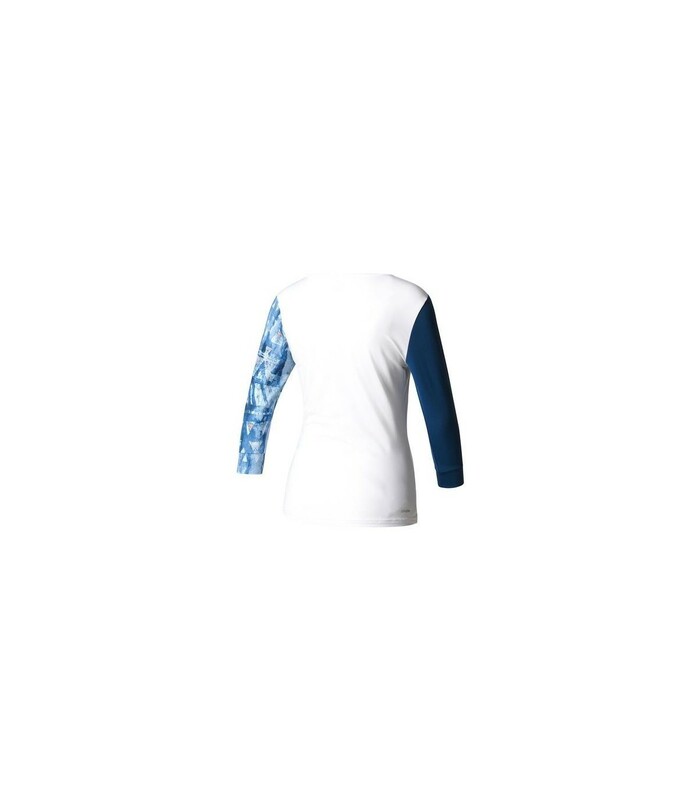 This ¾ sleeve t-shirt covers your body and offers you a highly appreciated warmth without being too heavy, thanks to its light and airy material and a 100% recycled polyester composition. 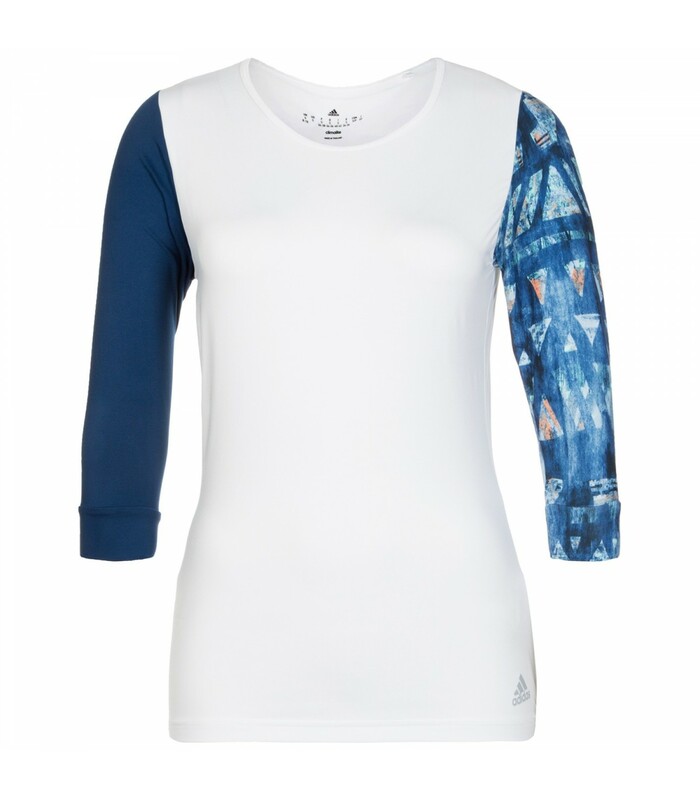 With its Climalite technology, the Adidas Essex ¾ Women's squash t-shirt allows you to play comfortably: the breathable material allows your body to quickly absorb perspiration while keeping your body dry and cool. Its slim fit gives you an even more elegant look, with this t-shirt that perfectly adapts to your body. 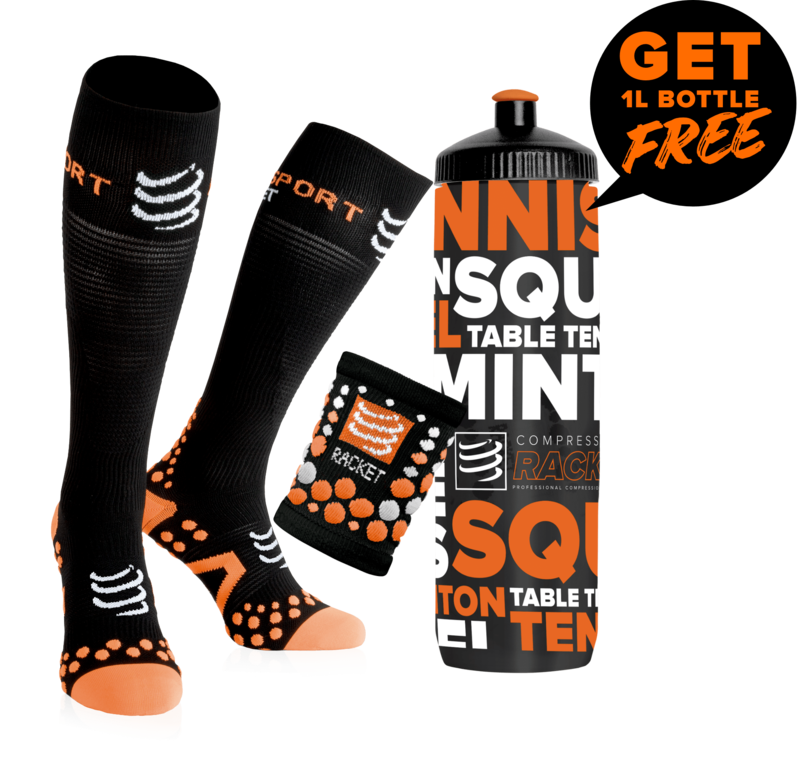 With its Climalite and its UV Protection 50+ technology, this squash t-shirt offers you a unique comfort and allows you to play under excellent conditions. 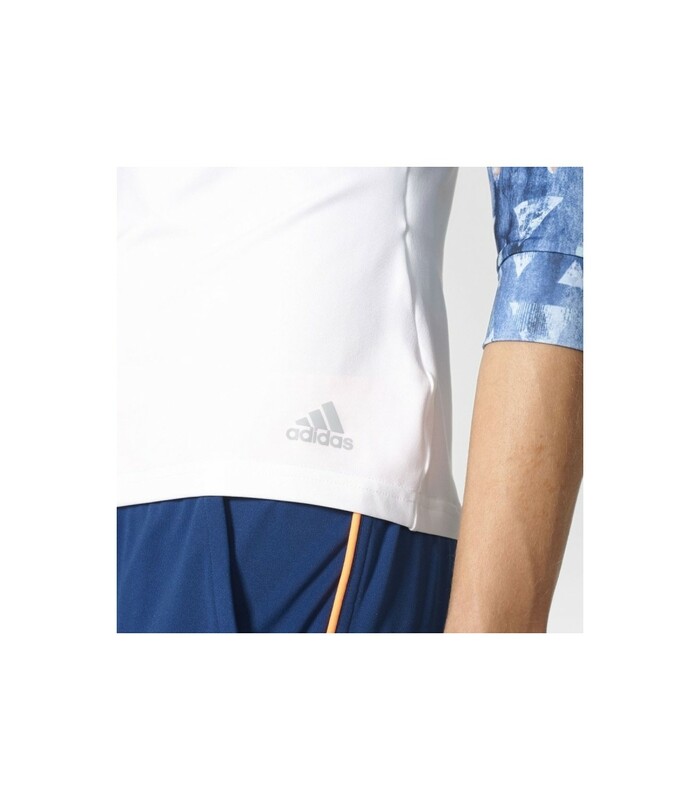 This white and blue Adidas T-shirt brings an original and colorful touch to your look. Comfort, style, elegance and breathability are the main assets of the Adidas Essex ¾ Tee women's squash t-shirt.